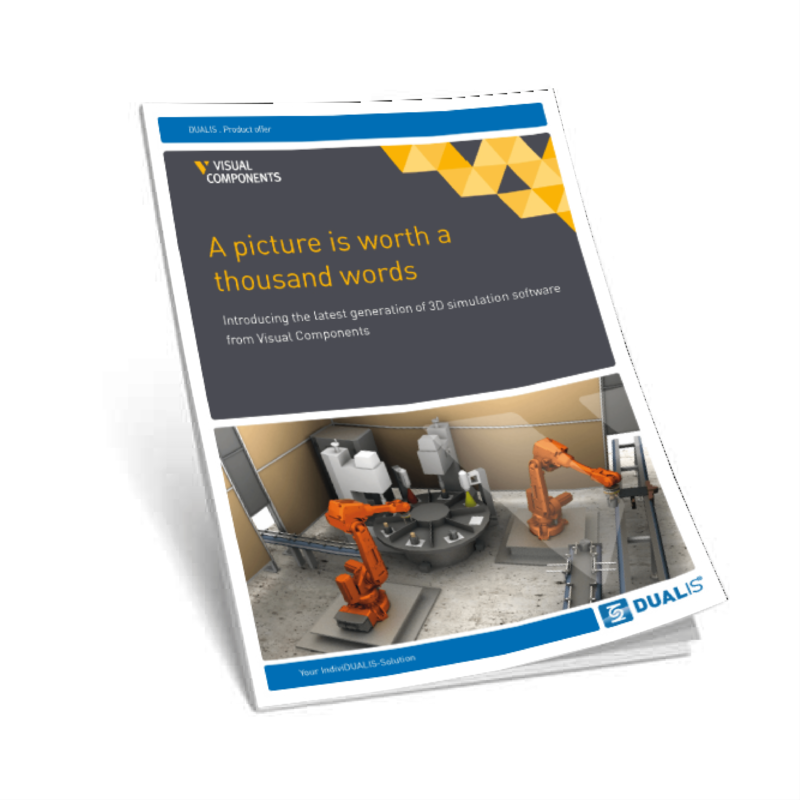 In our download area you will find data sheets, videos, pictures and demo versions around DUALIS and our products and the 3D-Platform VISUAL COMPONENTS. Better production starts with better planning. 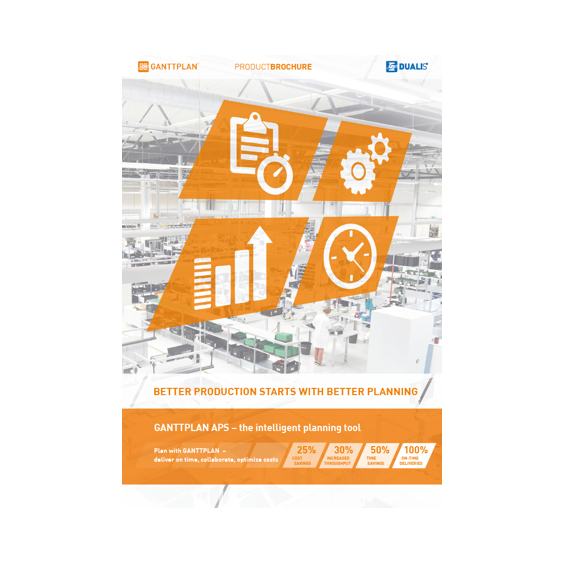 Learn all about the unbeatable advantages of production planning and optimization with the intelligent planning tool GANTTPLAN and what our customers say about GANTTPLAN. 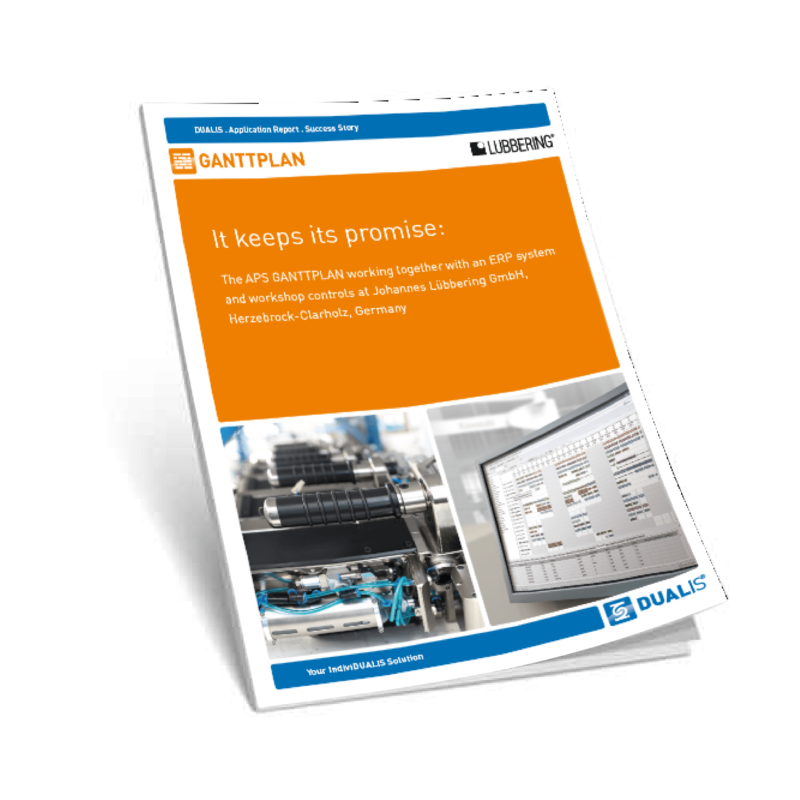 Here you can download the current GANTTPLAN product brochure, which also includes information about features and extension levels. The ensured wellbeing and safety of patients undergoing surgery places very stringent demands on health care equipment manufacturers. Surgical products produced by Epflex, the world's most prominent OEM manufacturers of metallic components for minimally invasive medicine, must meet the highest levels of precision and reliability with very strict manufacturing control. Since 2017 they have been using the APS – Advanced Planning Solution - from Dualis with the help of Asseco to coordinate and optimize their production processes and increase their order capacity. 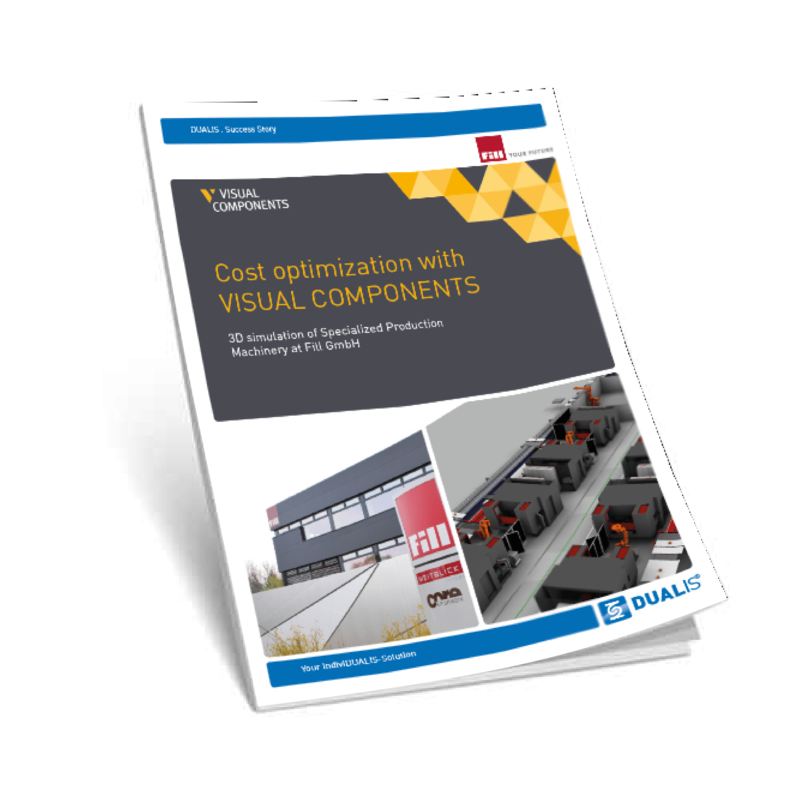 Here you can get the current product brochure of the 3D simulation platform from Visual Components. Fill GmbH is a leading international machine and production line supplier for clients in the automotive, aerospace, wind energy, sports and building industries. Fill made a strategic decision to bring simulation expertise into the organization. Based on a set of objectives, Fill put 69 simulation tools under the microscope and selected Visual Components. Crucial to the decision for the Finnish company was the localized support available from the Dresden software company DUALIS. Additionally, the proven software demonstrated a very good price / benefit ratio. 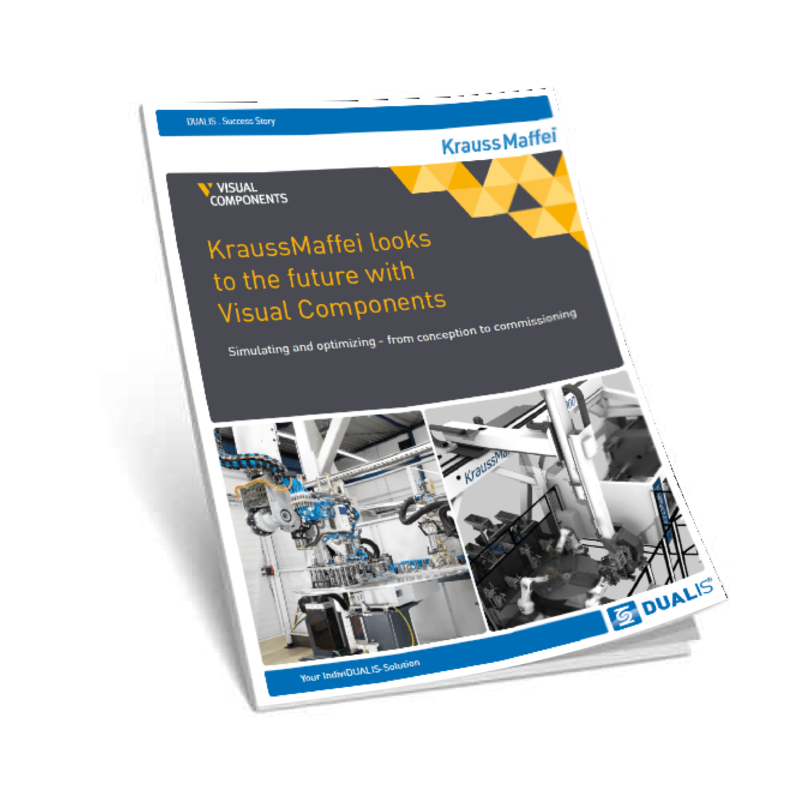 KraussMaffei Automation GmbH is multi-tasking with their use of 3D simulation solutions from Visual Components. The 3D software is being used to support their automated injection molding business in layout design, process visualization of equipment and offline programming of robots, as well as supporting sales activities. 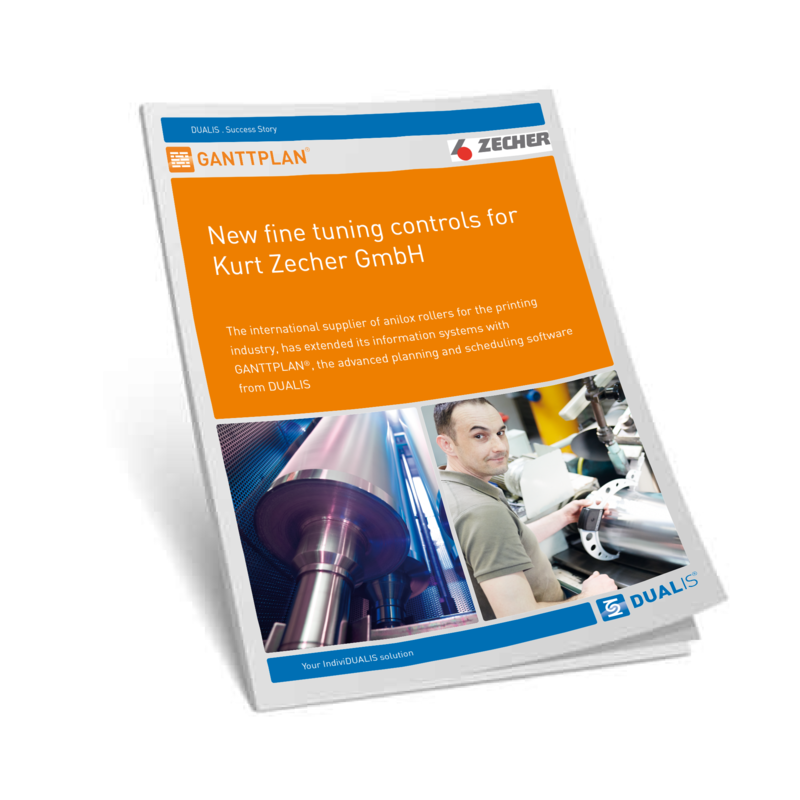 The results are shorter commissioning times and increased planning confidence. 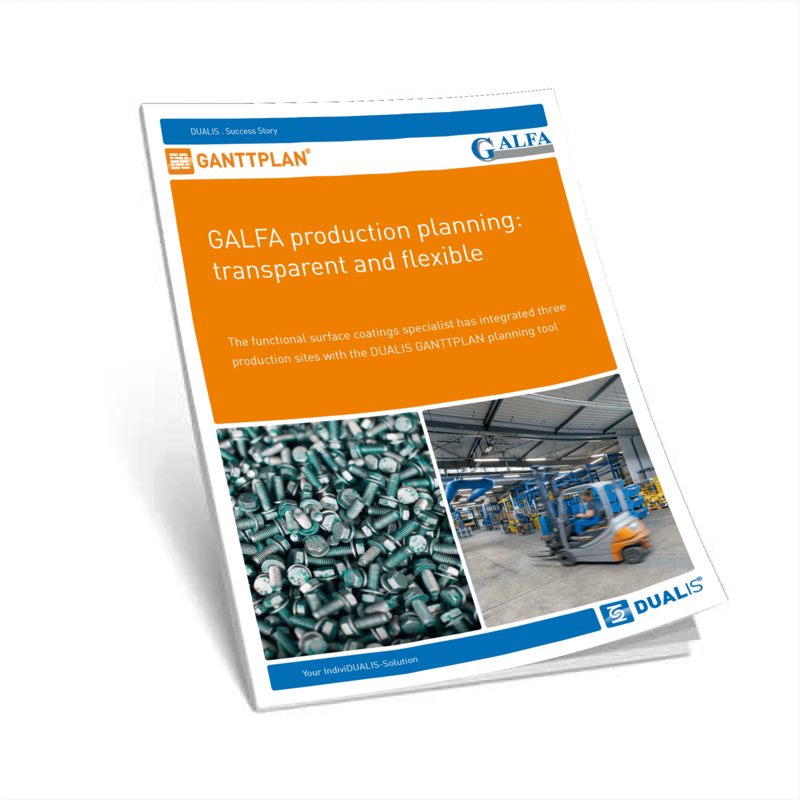 Planning is at the heart of manufacturing for Galfa GmbH & Co. KG, who have more than 5000 surface coating orders per month to schedule and process at 40 processing areas that are spread over three separate sites. The planning is completed by GANTTPLAN, the short term APS planning optimization tool from DUALIS. 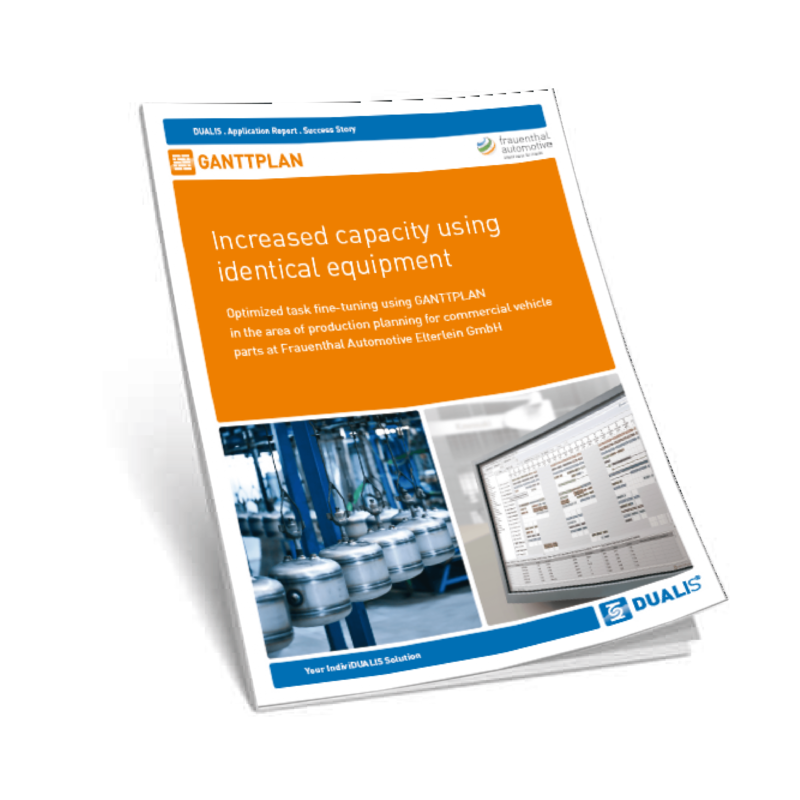 GANTTPLAN enables centralized planning for the three production areas, and is helping the company develop their vision for an Industry 4.0 smart factory. 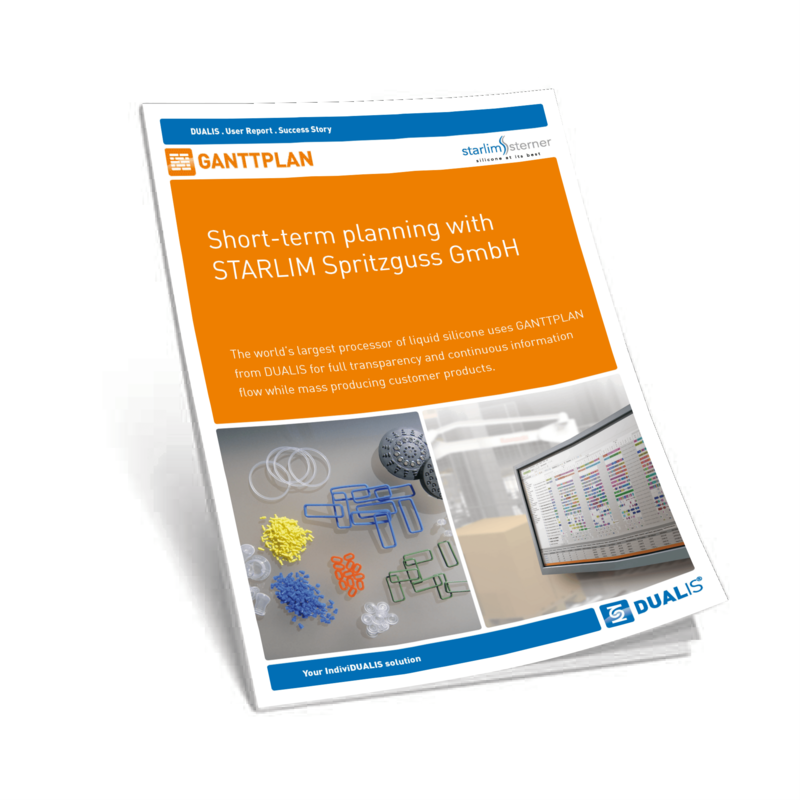 From small batches to several hundred million pieces per year, starlim//sterner is considered the largest silicone processor for technical applications in the world. Silicone injection moldings are developed here and the necessary production tools are designed and built in order to produce the silicone products under full automation and as efficiently as possible. Based on 5.5 workdays per week and GANTTPLAN OE, Lübbering is scheduling 108 machines to process over 8500 orders. This is only possible with DUALIS’s production planning and the seamless flow of information between the business processes with the manufacturing. In and Industry 4.0 environment, Lübbering relies on digital networking and process optimization to gain advantages in planning reliability, flexibility and time-management for the successful manufacture of high-precision tools for screwing and drilling. Frauenthal Automotive Elterlein GmbH runs several production lines and positioning parts on the correct line at the right time plays a vital role in the efficiency of the production. This is the main focus of GANTTPLAN’s job scheduling in Elterlein and it is exactly what the software was designed for. The production volume has drastically increased since the introduction of the software. 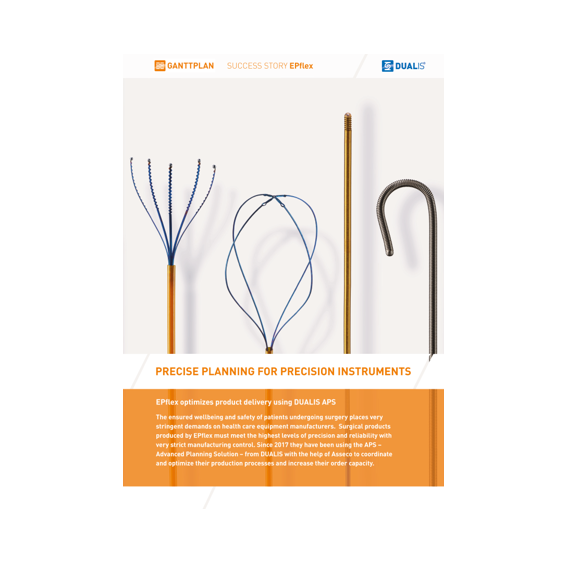 Precise instruments for recording weather data is the domain of precision engineers K. Fischer GmbH. 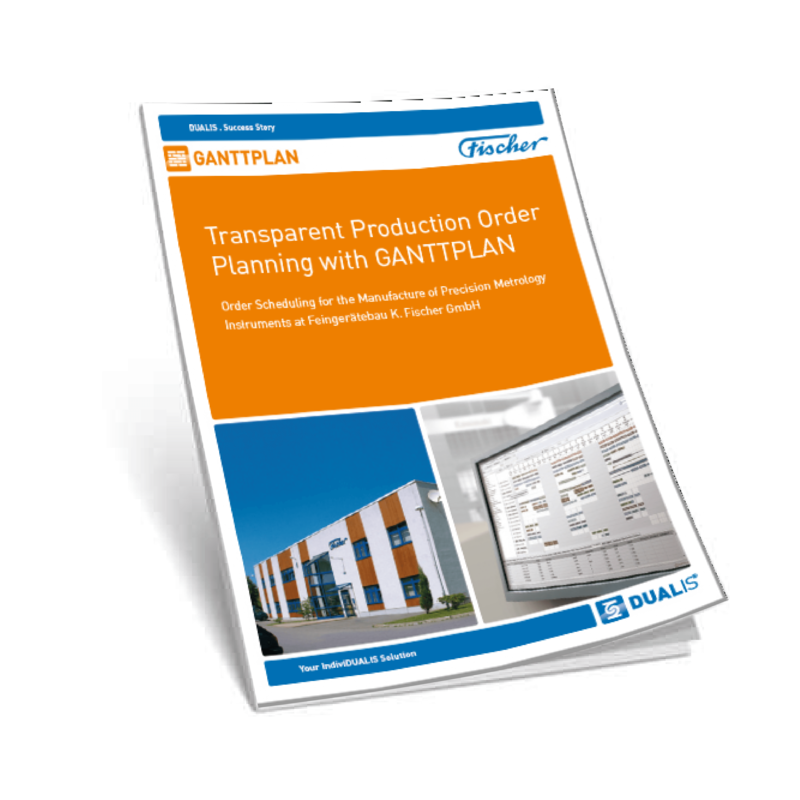 The company uses GANTTPLAN, the APS software required for exact production planning. Currently there are over 1000 production orders managed over a planning scope of 3 months. A total of 50 resources are planned in one shift operation to optimize the delivery schedules to customers. FUTURESIM Pro is a purpose built controller for surface coating lines, that is used by the production team to plan, optimize, control and monitor the paint line system. It uses an intelligent combination of 3D technology from VISUAL COMPONENTS and advanced planning and scheduling (APS) software from DUALIS. Solarlux is the latest company to join the list of satisfied production facilities working with FUTURESIM Pro. 3D simulation is a direct support tool for selecting machines and processes that will form part of a highly connected digitized Industry 4.0 system. 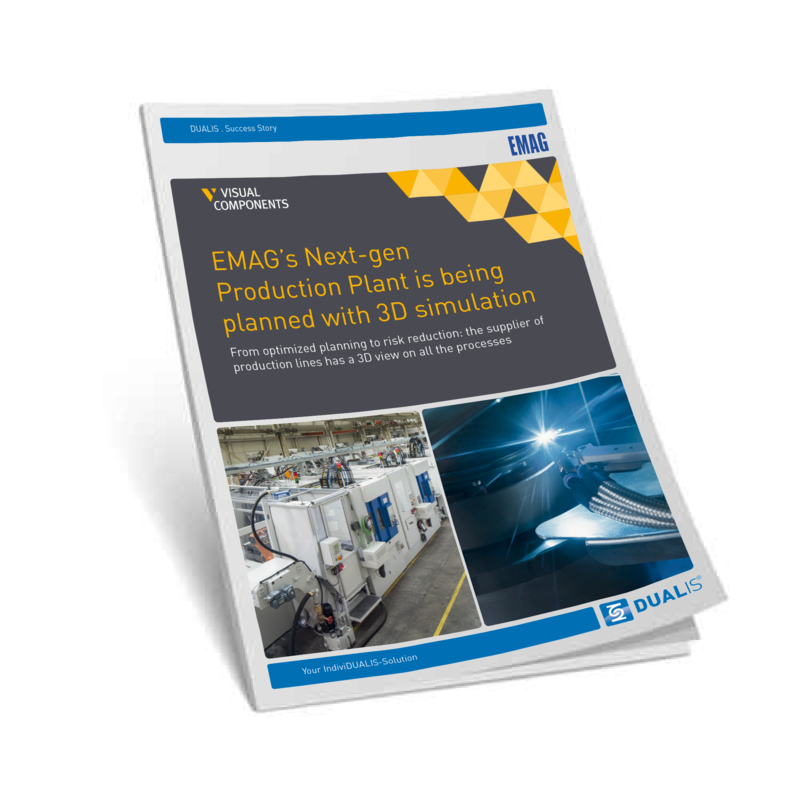 To support their Industry 4.0 digital strategy, the EMAG Group is using Visual Components 4.0 Essentials for 3D layout planning and the Premium version for material flow simulation. The 3D solutions are used during the feasibility stage to evaluate different production concepts and choose the optimum configuration. The business at Kurt Zecher revolves around the smooth running production of anilox rollers and associated services. To get production rolling, the first step in the process, is detailed production planning, to make sure all production parameters are exactly matched to deliver the best efficiency and reliability from the system. 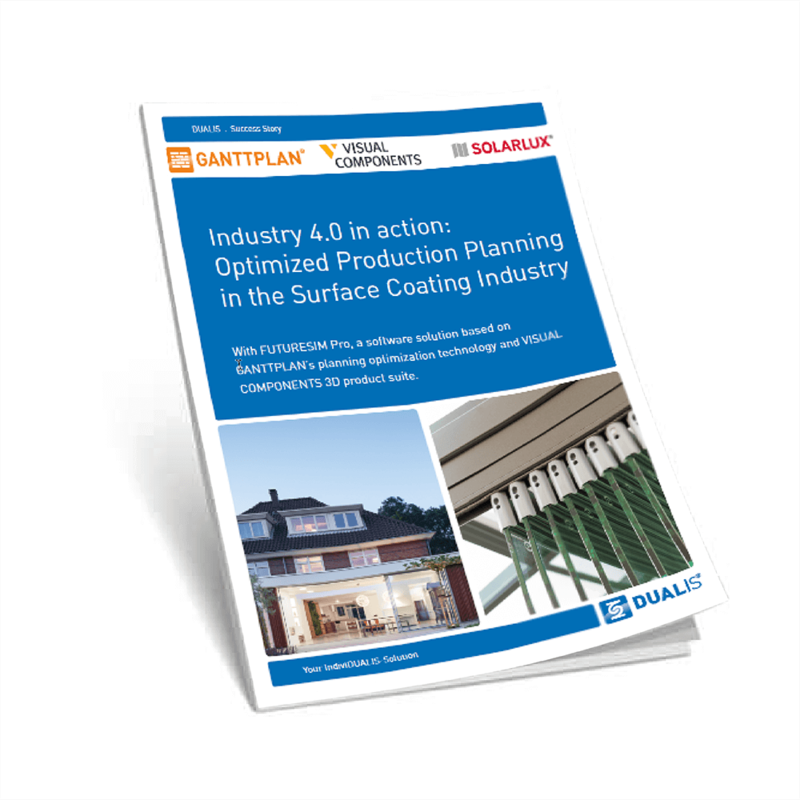 For this, Zecher selected GANTTPLAN® software from DUALIS, with the primary focus to achieve accurate delivery dates, and balance production loads by identifying peak capacity periods in advance.